Make-A-Wish® Alaska and Washington contacted OVERKILL with a request from a guy called Ogdon. Ogdon is a huge PAYDAY 2 fan and he had one big wish: to visit OVERKILL and see the game being made. For us, it was a no-brainer. He flew over here to Stockholm and got a full day where he got to meet the devs, Almir and try out the VR version of the game. It was emotional and inspiring to have Ogdon visit us, and we wish him well. Keep those helmets flying Ogdon! The mask is made from ancient stone, with carvings from each previous owner, and a symbol that radiates immense power. As the writing on the edge suggests, it is the beginning of the end for anyone who opposes the wearer. 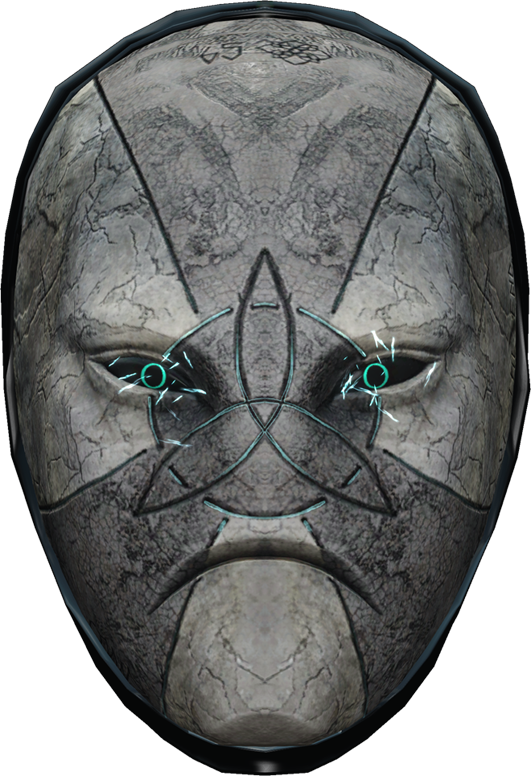 The Omen mask is designed by Ogdon himself together with our dev team. Ogdon created the concept and the theme, the result is now available to all for free! I had an amazing experience with the crew at Starbreeze. They made me feel so welcome and special. They showed me the inner workings of the game and all that goes into making a video game. I got to meet and spend time with both icons of the community and people who work behind the scenes to make Payday a truly awesome game. The whole experience was surreal. I am so thankful to the entire crew for making it the best experience I will probably ever have. "PAYDAY 2 ®” and "OVERKILL A STARBREEZE STUDIO®" are registered trademarks of STARBREEZE AB (Publ) and STARBREEZE PRODUCTION AB and/or its affiliated companies in the United States and other countries. ©2018 Starbreeze Studios ALL RIGHTS RESERVED"